Can you Read the Story your Company’s Numbers are Telling? Welcome back for episode 33 of the Think Digital podcast. On this podcast, we talk to Becca Harper, founder of the number one fractional CFO provider in the country. Becca’s keen financial insights make her sought after by multi-million-dollar companies and start-ups alike. What a fractional CFO does is to offer the high-level knowledge of a chief financial officer to a company, without the six-figure salary or pricey fringe benefits. Specifically, what Becca has done for me, is to whip my financial booty into shape. We’ve known each other for about five years and, in this episode, we reminisce about the stupid financial mistakes that I made in my own business after I went from making $30,000 a year to doing $30,000 a month in revenue. That was back when Becca was working for a mentor of mine. When she founded her own business, Clarity Consulting, I knew I had to be a client. Now, we’ve been fixing books together for two years. In a good way, that is... On this episode we dive into the difference between hiring a bookkeeping company to simply organize your numbers, versus a fractional CFO who can look at those numbers and make them tell the story of your business If you’re a founder or a CEO, you’ll also want to listen in to hear Becca explain why you --and your team--need to make sure you’re hiring, firing and rewarding around the core values of your company. She’ll share the pitfalls of not doing so. Smaller Niche = Larger Revenue? 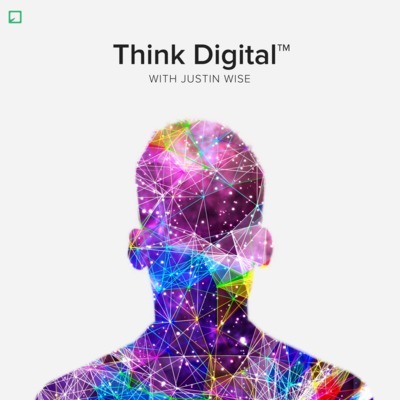 Welcome back for episode 32 of the Think Digital podcast. On this podcast we talk to Sarah Temte, messaging strategist for high-ticket coaches and consultants--and someone who has done amazing things for my business. Sarah is wizard-like at teaching companies like yours and mine how to get clear about what we should offer that customers are already hungry for. You can tell she’s great at what she does because Sarah is able to help her clients break the $50K/month mark. But the reason she’s good is because she has walked this path herself. In this episode, Sarah tells the story of finding herself turning down cash-in-hand clients because she saw holes in their businesses. These clients weren’t doing work worth paying attention to, which no headline could fix. Even if she could magnify their work, Sarah felt dishonest doing so. And that’s what set her on the road to changing her own business. We talk about how Sarah got laser focused on who she did not want to serve, what she wanted to offer clients, and how she wanted to package it. Then we drill down into why that change made all the difference--how she was able to develop authority within her niche faster because she had taken a stand. Sales calls got easier, fulfillment got easier, and so did content creation. And we unpack why a similar adjustment, deciding to serve a niche not the whole crowd, can drastically change your business, as well. If you’re a coach or a course creator, you’ll also be interested in hearing Sarah’s tips for making sure you’re working with the right mentors. She explains why, if you’re taking advice from someone whose daily life you don’t want, you’re likely optimizing your business around someone else’s finish line. Content marketing. Seth Godin said, “it’s the only type of marketing left.” But, what if he’s wrong? Seems like everyone knows we’re supposed to do it...right? But why does it seem like such a pain in the @$$? Well, because if you ignore these 3 truths, it usually is: Have a “second step” Sound like yourself Choose your lane When you try and sound like everyone else, you lose. When you try to cover every single platform, you lose. When you take content marketing for granted, you lose. So let’s not have you lose. Let’s get you winning when it comes to content marketing. Because content marketing isn’t actually the point. The point is to make your business more profitable, more sustainable, and more….fun. When done right, and in accordance with the 3 truths I talk about on today’s show, content marketing can be all those things...and more. If your ship is sinking, would you rather plug the hole or get a bigger bucket? Of COURSE you’d plug to hole first! So why, when it comes to our calendars and hectic work schedules, do we try and get a bigger bucket? It makes no sense! The only way to really save time is by doing less. But that’s easier said than done, especially when we have so many peoples, places, and things competing for our time. On this week’s podcast, I get super practical in how I’m able to run most of my businesses in 20 hours per week. Sometimes more, most often less. Spoiler alert: it’s rarely about buying a new app or journal or subscribing to the latest productivity trend. Those things help, but they’re the appetizer to the main dish. And that entree? It’s digging into your purpose. What you do better than anyone else on the planet. When we don’t know the answer to that question, we’ll spin our wheels endlessly. Accomplishing much, but feeling satisfied with none of it. So let’s get you re-oriented around time, so you’re in control of it rather than responding randomly to the demands placed on you by others. I want you to give your time to the people and projects you hold near and dear. Nothing less. Word? Word. Ever have someone tell you, “You can’t always do the stuff you love, ya know!” Well I call BS. I’m here to tell you that not only is it possible to love what you do, it’s your responsibility to not rest until you do. People who love what they do live longer, impact more people, and last longer in business. It’s a proven fact. No magic “woo-woo” thinking...it’s just science. See, there was a time not too long ago where our business was growing like gangbusters… I was hiring people left and right… Signing new clients every week… AND TOTALLY MISERABLE. I got sidetracked by the allure of undisciplined growth and paid the price for it: anxiety, frustration, and a nagging sense of dread...all because I wasn’t loving what I was doing. I knew I had a choice. Just like you do: 1.) Keep going and make money doing what I didn’t enjoy, 2.) take a step back, analyze the situation, and change directions as-needed. I chose door #2. And at the core of that decision as a simple little process I walked myself through at the prompting of a friend. This process not only helped me identify why I was so miserable, but it set my sights on what I wanted my business to actually look like. I unpack that process on today’s show. If you’ve ever felt like you want a change but aren’t sure why, this episode was made just for you. What's a superconnector and why would you wanna BE one? I walk you through how to connect with others in a meaningful, non-sleazy way. Building mutually beneficial relationships in business is the FASTEST way to get to where you wanna get without sacrificing your integrity. Get practical. Get focused. Get going! If you were to jump into a time capsule and go five years into the future, would you like what you see in your business? Are you making money? Is the pace sustainable? The sexiest words in business aren't always "profitable" and "sustainable," but they're more important to your business than you might realize. Digital businesses sprout up quickly, make money, but then die just as fast because they don't have a solid foundation. There's no root structure. So even though they spring up quickly, they’re gone before they can make a lasting impact. If you want your business to exist five years down the road, there are steps you need to take today to ensure your success. We walk through the five keys to building profit and sustainability into your digital business in this week's episode. If your business is built on a product / service that you alone can deliver from start to finish, you’re thinking too small. And you’re also probably on the fast train to burnout, or bankruptcy, or both. See, when you’re the sole solution provider, nothing works when you don’t. - Wanna take a sick day? - Wanna quit early tomorrow? - Wanna spend all afternoon reading/writing at Starbucks? - Wanna go up to the cabin for a few days? - Wanna book a surprise anniversary trip (and not bring work)? - Wanna spend the winter in Costa Rica? - Wanna take your kids skiing over Christmas break? - Wanna go to the DMV on a Monday morning? (okay, no one WANTS to do that, but it’s nice to have the option) Cool, go for it. Go ahead. But you’ll come back to unhappy clients and a bleeding bank account. It’s a lose-lose situation. You either feed the business (at the expense of your freedom) or get a taste of freedom (at the expense of your livelihood). Millions of service providers and small business owners are in this exact situation. And we’re all getting the same *bad* advice... ...and it's time for it to stop. Tune in to this week's episode to find out how to turn your lose-lose into a WIN-FREAKING-WIN. Most business owners WANT to escape the "time-for-money" trap, take back control of their business, and finally create that elusive “lifestyle freedom." But they’re stuck. Because they don’t REALLY know why they’re trapped in the first place. The don’t REALLY know why they can’t work less and make more. (And the ones who do know are already doing it.) Over the last few months, I’ve been obsessed with this. So I’ve dissected DOZENS of businesses (agencies, course-based businesses, service providers, coaches, consultants, etc.)... ...and I’ve found 7 factors that keep business owners stuck in “job mode.” Last week on the podcast we covered the first two, but I ran outta time. So... TL;DR: On this week's episode, I unpack the rest of the factors keeping SMART business owners very stuck—and how they can get moving again with a few simple changes. My oldest son, Finn, and I were talking about careers the other day. I told him that not everyone can have breakfast dates with their kids, or make their own schedule, or do what they love. And he said: “do you mean the people who have to sit in booths [cubicles] and just type, type, type all day long?” I was shocked. 9 years old, and he already understands what it looks like to be trapped in a J-O-B. But here’s the sad thing. Most business owners would be better off sitting in a cubicle all day long. At least they’d get a regular paycheck. At least they’d get to turn off their computer and go home at the end of the day. At least they’d get weekends and vacations off (like, really off). Instead, most business owners have built a business that’s MORE restrictive than any job. It eats their bank account, monopolizes their attention, demands their time, destroys their health, compromises their relationships, and erases their free time. It’s all-consuming...and it doesn’t give much in return. On this week's episode, we take a look at the 7 factors that TRAP smart business owners, and how you can break free. I’ve paid so many people to save me. Mastermind leaders. Marketing gurus. Bigwig consultants. Trendy coaches. I’ve invested over $112,000 (not a typo) in people who promised me the moon. “Add an extra zero to your bottomline;” “land your first five-figure client;” “scale your business to 7-figures effortlessly”... In every single program, I’ve learned a lot—even when I got burned. BUT...(and this is a big “but”)... None of these programs did what I wanted them to. None of them magically delivered leads. None of them turned my business from a hot mess into a well-oiled machine (I had to do that.) None of them built my systems or restructured my offer for me. Bottom line: none of them saved my business. And, finally, I realized that none of them could. If you're looking to others to save your business, just like I was, LISTEN for a practical way to stop leaning on others and trust yourself. Let’s talk about the sales/fulfillment rollercoaster that’s holding you hostage to your business. It looks like this: 1. Your revenue is low. 2. You shift into sales mode, chasing down clients and focusing 90% of your time on marketing. 3. Your roster fills up, and you’re suddenly drowning in fulfillment work. 4. You stop selling. 5. Your revenue dips. Rinse and repeat. This rollercoaster is dangerous for a few reasons. First, you’re always one or two bad months away from bankruptcy. And that means you’re not running a business. You’re hitched to a liability. Second, you’re never able to step into the CEO role (and get out of the overworked technician role), because you’re always hyperfocused on sales or fulfillment. You’re in desperation mode, almost constantly... ...and you don’t know how to stabilize their business for long enough to create sustainable operations—team-building, pipeline automation, etc. Bottom line: The business that was supposed to give you FREEDOM is keeping you perpetually stuck and stressed. Look, I’ve been there. And it’s not fun. So let’s talk about how to get OFF the rollercoaster, for good. The process is simple. Really simple. But the implementation isn’t. It takes discipline. It takes long-range vision. It takes decisiveness. All successful CEOs possess these three qualities… ...but many online business owners haven’t invested the resources or energy to develop them. We'll make sure you're ready to go on this week's episode. #05: So, You've Been Burned by Facebook Ads?